I had the great privilege of not only photographing Robin and Faye's wedding in June but surprising them as well! Yes, they had no idea I was going to be there or photographing their wedding. It was a huge surprise that my parents and I had planned for months. These two wonderful women have been part of my life since I was young. They have been part of my extended family, rooting me on and encouraging me through the years. 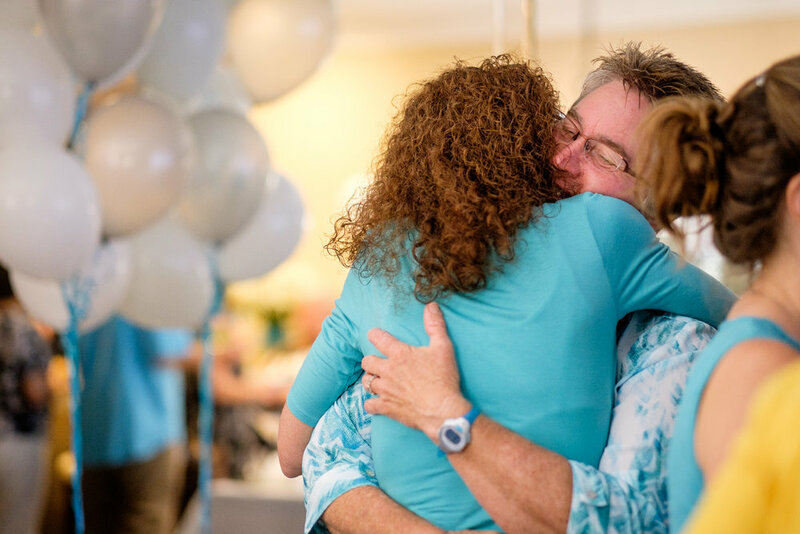 They were finally able to get married this year in Florida, their home state. 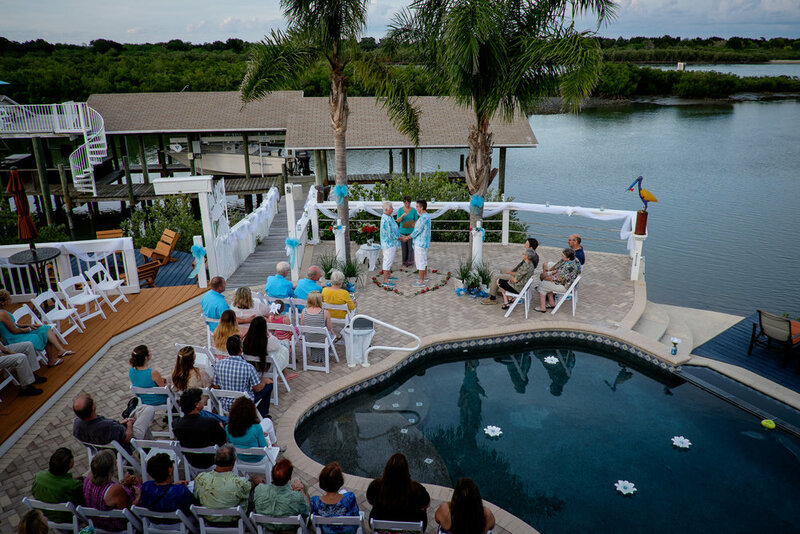 They decided to rent a gorgeous riverside house for the week and hold their ceremony on the back patio overlooking the river. 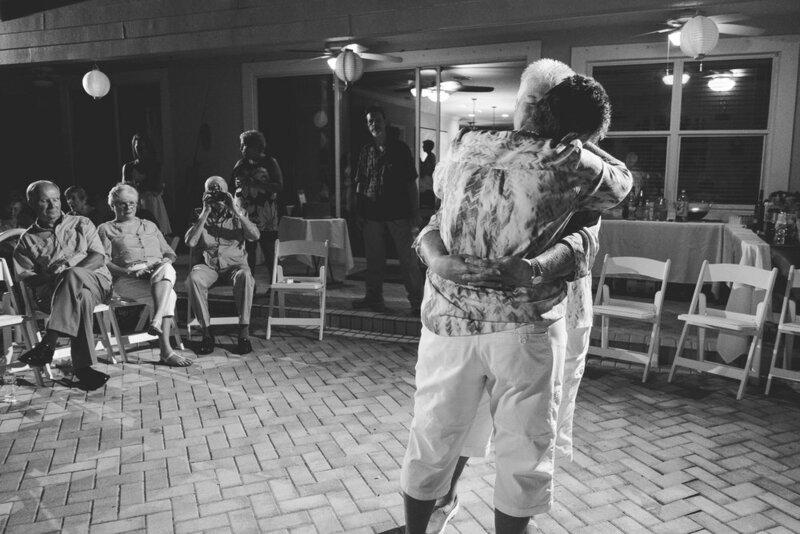 Their casual Florida wedding was filled with laughter, happiness, and tears of joy, as family and friends gathered to celebrate their marriage. 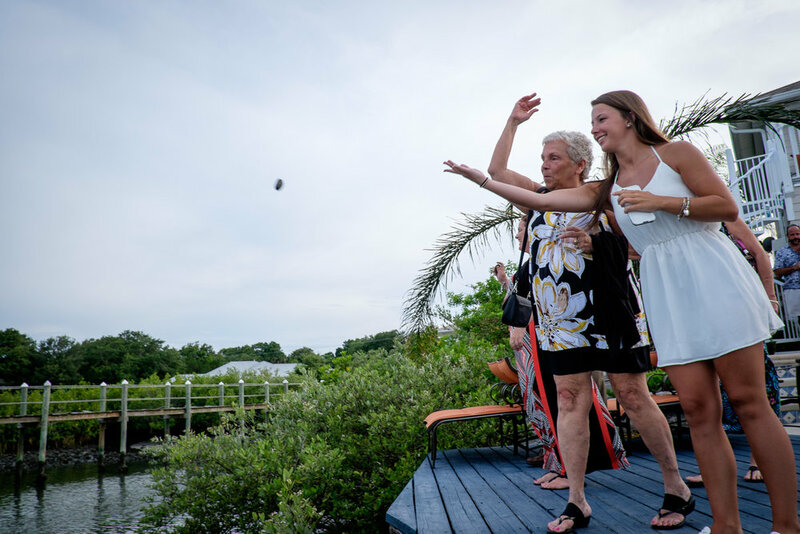 Stones customized with their initials that they had everyone hold during the ceremony and then toss into the river with a wish, birds flying overhead, and stunning sunsets were just some of small pieces that made up their incredible day.